HAIR puts rock music and the culture that went with it on stage. The show has a strong effect on everyone, and acts as a bridge between generations and viewpoints. Open Mic Nights - June 20th & July 18th after the show! Open Mic Nights are free and open to the public. Tips for the pianist are encouraged! Come to the show and stay or come on over after the performance (around 10:20pm/10:30pm). We will provide an accompanist. Bring your own sheet music or flip through ours. Come to sing or come be an audience and cheer on our singers. Open Mic Nights are BYOB. What looks like incredible chaos is actually organized chaos. Phenomenal musical numbers include AQUARIUS, GOOD MORNING STARSHINE, I BELIEVE IN LOVE, HAIR, I GOT LIFE and WHAT A PIECE OF WORK IS MAN. This show has a vitality, a timelessness and a meaning that outlives the late 1960's and early 1970's in America. Winner of the Tony Award for Best Revival of a Musical. KEVIN BARLOWSKI(Woof) Playhouse on Park: Leaf Coneybear/Carl Dad SPELLING BEE, Bobby/Emcee u/s CABARET, M.C. THE CLOWNS, Man 2 SWINGING ON A STAR, Emcee MAMA D'S OUTRAGEOUS ROMP, Peter COMPANY, Linus YOU'RE A GOOD MAN, CHARLIE BROWN. Kevin has also had the psychedelic pleasure of directing FRECKLEFACE STRAWBERRY, A YEAR WITH FROG AND TOAD, THE MAIN STREET KIDS CLUB, MISS NELSON IS MISSING, and BUNNICULA at Playhouse. Education: B.A. Theatre Education from Emerson College and Musical Theatre Certificate from Circle in the Square Theatre School. A Gemini, Kevin is currently pursuing his M.A. in Shakespeare and Education and serves as the Director of Theatre and Performance Studies at Bay Path University. Unending gratitude to Sean, Darlene, Colin, the Tribe and Mono. Spread peace, give love, share joy! OLUDARE BERNARD (Tribe/Hud u/s) Playhouse on Park Debut! Trinity College: Belize ANGELS IN AMERICA, Claire THE MAIDS. Oludare recently graduated from Trinity College. MARY BERTHELSEN (Tribe/Swing) Playhouse on Park Debut! The Hartt School: Woman 1 IS THERE LIFE AFTER HIGH SCHOOL; Saint Paul Conservatory: Rose Gellman CAROLINE, OR CHANGE, Polly Peachum THREEPENNY OPERA, Stepsister INTO THE WOODS; Children's Theatre Company: Mother MULAN. Mary will return to The Hartt School this fall for her junior year studying Music Theatre. DALTON BERTOLONE (Tribe/Swing/Claude u/s) Playhouse on Park Debut! The Hartt School: Peter COMPANY, 1st Actor THE DINING ROOM; Roustabout Theatre: Link Larkin HAIRSPRAY, Enjolras LES MISERABLES, Prince Eric THE LITTLE MERMAID; Spreckels Theatre: Ernst SPRING AWAKENING. Dalton will be a Junior at The Hartt School where he is pursuing a BFA in Music Theatre. RYAN CONNOLLY* (Berger) Playhouse on Park debut! Tours: Japan: Gordon/Roger u/s RENT; National: Jim Zwerg/Bull Connor IF THIS HAT COULD TALK; Regional: Walt Disney World: Crush FINDING NEMO THE MUSICAL; Bickford Theater: Man 2 SONGS FOR A NEW WORLD; Theater Winter Haven: Chris MISS SAIGON; The Forum Theater: Miss Bible Belt PAGEANT. Many thanks to Sean and the POP family, as well as Renee and the About Artists crew for their support. All my love to my family, L & V, and all of my real-life Tribe members. AJPL! KELSEY FLYNN (Tribe/Sheila u/s) Playhouse on Park Debut! Hartford Stage: Female Swing A CHRISTMAS CAROL; Goodspeed Festival of New Artists: Annette COME FROM AWAY; DreamCatcher Theatre: Sleeping Beauty/Baker's Wife u/s INTO THE WOODS; Eldorado Showroom: Rizzo GREASE; Hartt: Gigi MISS SAIGON, Trix THE DROWSY CHAPERONE, Our Lady of the Spa NINE, Dream Laurey u/s OKLAHOMA! Proud graduate of The Hartt School. All the peace and love to my family, MT13, and KG. KARISSA HARRIS (Tribe/Dionne u/s) Playhouse on Park debut! Arrow Rock Lyceum Theatre: Crystal LITTLE SHOP OF HORRORS; Fulton Theatre/Maine State Music Theatre: Michelle DREAMGIRLS, Dynamite HAIRSPRAY, Mimi RENT, Fantine LES MISERABLES; Civic Theare: Mary Magdalene JESUS CHRIST SUPERSTAR; Armory Theatre: Shelia A CHORUS LINE. Other favorite credits include: THE WHO'S TOMMY, RAGTIME THE MUSICAL, GODPSELL, THE DISNEY DREAM. Originally from Allentown, Pennsylvania, Karissa received her BA in Theatre from Muhlenberg College and now currently resides in Brooklyn, NY with her husband Tynan and their French Bulldog Felony. Many thanks and congrats to the very talented cast, creative team, and crew! Special thanks to friends and family for their continued love and support! "Let the sunshine in!" EMILY ELIZABETH JONES (Tribe/Swing) Playhouse on Park debut! The Hartt School: Actress 1 THE DINING ROOM, Bonnie BOB: A LIFE IN FIVE ACTS, Jenny COMPANY; Diablo Theatre Company: Serena LEGALLY BLONDE; Lafayette Town Hall Theatre: Fantine LES MISERABLES. Emily is a student at The Hartt School where she is pursuing her BFA in Music Theatre. ALEJANDRA LOPEZ (Tribe) Playhouse on Park: Jane/Mother/Teacher FRECKLEFACE STRAWBERRY; Favorite roles include: Ogunquit Playhouse: Head Nurse SOUTH PACIFIC; Miami Children's Theater: Sour Kangaroo SEUSSICAL; Miami Stage Company: Lucy JEKYLL & HYDE. To my family, friends and Rob, I love you more than words. Tribe, Sean, Darlene, thank you for this beautiful experience. JESSIE MACBETH (Jeanie) Playhouse on Park: Mom Cat/Nurse Nellie BUSYTOWN. Theatre: Angel Chorus THE MYSTERIES, Mary Magdalene JESUS CHRIST SUPERSTAR, Josephine HMS PINAFORE, Peggy Shippen BENEDICT ARNOLD. Jessie is a proud alum of Muhlenberg College and a member of the Bats; the Flea Residential Acting company based in Tribeca, NY. MATT MAGRATH (Tribe/Father/Berger u/s) Playhouse on Park debut! New Bedford Festival Theatre: Rolf THE SOUND OF MUSIC; Cape Rep Theatre: Thalia XANADU; Mark RENT; Brooklyn Academy of Music (Ensemble for the Romantic Century): Vocal Quartet JULES VERNE: FROM THE EARTH TO THE MOON; Symphony Space (ERC): Vocal Quartet/Bosie THE TRIAL OF OSCAR WILDE; New York Frigid Festival: People of the Field THE FIELD. Proud graduate of UMass Amherst. Thanks to family, friends, Kate, HR Artists, & MCS. Unending love to this tribe! LAUREN MONTELEONE (Crissy) Playhouse on Park Debut! 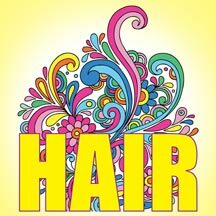 Short North Stage: Val A CHORUS LINE; Charleston Stage: Serena LEGALLY BLONDE, Gloria The American BOEING BOEING, Martha SECRET GARDEN; Shenandoah Summer Music Theatre: Bambi, CURTAINS; Seacoast Repertory Theatre: Tribe/Crissy u/s HAIR, Mabel PIRATES OF PENAZANCE. Lauren is a graduate of Shenandoah Conservatory's BFA Musical Theatre program. Much love to my Tribe, Sean, Crew, Family, and Jay. KAMEREN CHASE NEAL (Hud) Playhouse on Park Debut! Cabrillo Theater: Audrey II LITTLE SHOP OF HORRORS; Simi Valley Cultural Center: Tom Collins RENT, Dance Core OKLAHOMA, Chorus Boy CABARET, Coalhouse Walker RAGTIME; Moorpark College: Rocky DAMN YANKEES; Santa Susana School of the Arts: Harold Hill MUSIC MAN. A Los Angeles native, Kameren is truly honored to be working for his first time on the east coast, and would like to thank Playhouse for this awesome opportunity! Love to my momma. TARA NOVIE (Sheila) Playhouse on Park Debut! The Gallery Players: Mimi RENT; The Eagle Theatre: Susan TICK, TICK…BOOM! ; Weston Playhouse: Factory Girl LES MISÉRABLES. New York: Karen O's STOP THE VIRGENS; Fringe NYC: TRIASSIC PARQ; WVMTF/Best Actress Award: THAT'S JUST SUPER; NYMF: COCAINE: THE BAND - THE MUSICAL; DEX! A KILLER MUSICAL. Other Regional Credits: John W. Engeman Theater; Weathervane Theatre; Experiential Theater Company. Pace University BFA Musical Theater. Graduate of LaGuardia High School of Performing Arts. Lots of love and gratitude to my family and friends, the incredible PoP team, and my beautiful tribe. JOSE PLAZA (Margaret Mead) Playhouse on Park Debut! Theatre: Chantal LACAGE AUX FOLLES; Tamima: Kershak TARZAN THE MUSICAL; Lizardi Theatre: New York City Man I LOVE YOU BECAUSE; The Hartt School: Larry COMPANY. Jose is a rising junior at The Hartt School and will return this fall to continue his studies in Music Theatre. COURTNEY RADA (Tribe/Mother/Crissy, Jeanie u/s) Playhouse on Park Debut! Derryfield Repertory Theater: Elle Woods LEGALLY BLONDE; ElDorado Showroom: Patty Simcox GREASE, Laguna Playhouse: Young June Carter RING OF FIRE, Dante Hall Atlantic City: Libby I OUGHTA BE IN PICTURES; Goodspeed Festival of New Artists: Beverly Bass COME FROM AWAY. Hartford Stage: Dancer THE CRUCIBLE; The Hartt School: Logainne SPELLING BEE; Courtney is a proud graduate of the Hartt School where she received a BFA in Music Theatre. She is a New York based actor currently pursuing her dreams of improv, sketch, stand up and musical comedy. All the love to her family, friends & B.
MICHAEL JAYNE WALKER* (Claude) Playhouse debut! Totem Pole Playhouse: Jesus GODSPELL; Nat'l Tours: Ensemble SOUTH PACIFIC; Adams WE THE PEOPLE. Lake Dillon Theatre Co: Cousin Kevin, THE WHO'S TOMMY; Luke ALTAR BOYZ. Thanks to the team at Avalon, my starshine Kayleigh, and the Walker Foundation. SEAN HARRIS (Director) is the co-founder and co-artistic director of Playhouse on Park, where he has directed Angels in America, Of Mice and Men, Metamorphoses, and Cabaret among others. Other recent regional directing credits include The Last Train to Nibroc and Another August for Fifth Letter Productions. As an actor he has performed on the POP stage in The Complet Wks Of Willm Shakspere (Abridged), Art, and The Mystery of Irma Vep, and The Hound of the Baskervilles. Regional Theatres include: Florida Studio Theatre, Shakespeare on the Sound, The Pennsylvania Shakespeare Festival. NYC Theatres include: The Actors Studio, Circle in the Square Downtown, Bank Street Theatre, Theatre at Westbeth, 29th Street Rep, Playhouse 22. Sean has his BA in Acting and Directing from DeSales University and an MFA from the New School for Drama/Actors Studio. He has been an acting teacher and director for over twelve years and is currently the Director of Theatre at Hall High School in West Hartford, which has been selected as one of the top 40 High School theatre programs in North America by the American High School Theatre Festival and invited to perform in Edinburgh Scotland four of the past six years. Upcoming: Passing Strange: Playhouse on Park, Kissed the Girls and Made Them Cry (world-premiere by Arlene Hutton) at the Edinburgh Festival Fringe. DARLENE ZOLLER (Choreographer) is the co-founder and co-artistic director of Playhouse on Park where she has directed and choreographed CHICAGO (Best Director of a Musical/Broadway World.com) SWINGING ON A STAR and THAT HOLIDAY FEELING. Choreographed CABARET, FROG and TOAD, and FRECKLEFACE STRAWBERRY among others. She is the founder, director and choreographer of stop/time dance theater, the resident dance company of Playhouse on Park, now in its twelfth year. She was voted Best Director of a Musical/Broadway World.com for last year's production of I'D RATHER BE DANCING. She IS Mama D of MAMA D's OUTRAGEOUS ROMP; a grown ups only music, dance and comedy event-exclusive to the Playhouse. Darlene is an adjunct professor at the University of Hartford's Hartt School where she directed and choreographed CHICAGO and did the choreography for ON THE TWENTIETH CENTURY, THOROUGHLY MODERN MILLIE and SMILE. She also teaches for the Hartt Community Dance Division and is an instructor at Big Sky Fitness in Vernon.